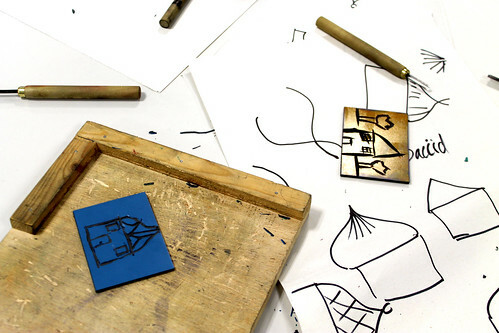 Leicester Print Workshop is a member of The City Classroom, one of Leicester’s responses to the Cultural Education Challenge. Launched in autumn 2015, the Cultural Education Challenge is a national call to arms to strengthen cultural education activities. The City Classroom Partnership works strategically to promote a vision for culture, children and young people, families, schools and communities. The vision of the City Classroom is that every child and young person will thrive through a rich and adventurous cultural education. The goal is to increase cultural activity in schools and communities, resulting in an improvement in cultural education and social outcomes. Leicester Print Workshop worked with The City Classroom on our Moat Town project in Spring 2015, and on our Printing Parks in Spring 2017. The City Classroom are looking for schools/young people to join us as cultural ambassadors for a day at an inspiring cultural venue. We will explore maths through a range of arts based workshops with professional artists and all young people will gain a Discover Arts Award. Aimed at years 4-5 and SEN students studying equivalent curriculum levels. CPD will be incorporated into the day, providing new and exciting ideas to take back to the classroom.